Jo Chandler examines the complex natural resources saga in Papua New Guinea in The Monthly, as fallout from the February earthquake continues. A controversial report from Australian NGO Jubilee Australia has also questioned the economic benefit of PNG’s largest natural resource project. 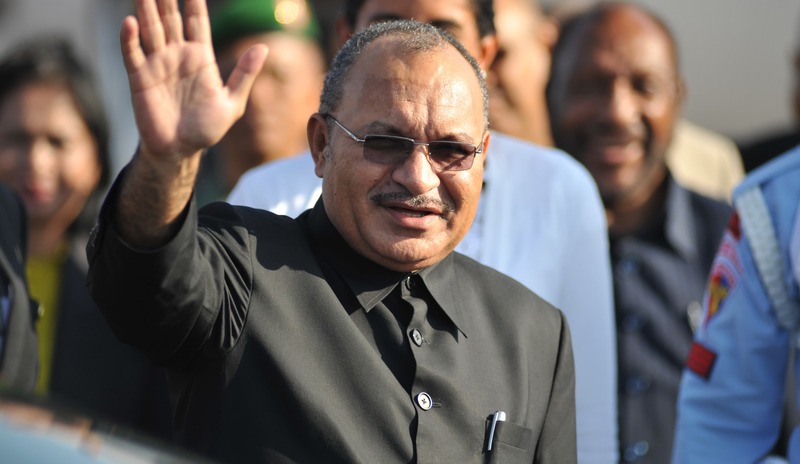 The report was rejected as fake news by PNG Prime Minister Peter O’Neill (as well as by resource companies linked to the project). Deputy PM Charles Abel had a more measured response when speaking to PNG media. Speaking at the Aus-PNG Business Forum in Brisbane, O’Neill also continued his sales pitch for the nation’s hosting of APEC. French President Emmanuel Macron will spend three days in New Caledonia this week to show his support for the looming referendum of independence. I spoke with RN Drive about the importance of Macron’s visit; Denise Fisher provides important context at The Strategist; as does The Saturday Paper. Samoan debt has past the billion-tala mark, equivalent to roughly US$160 million. A former Fiji MP has been jailed for two years for spray-painting anti-government graffiti. Denghua Zhang discusses China’s growing interest in deep-sea mining across the Pacific. On a more positive note, Eric Tlozek details how a simple bracelet could help prevent thousands of newborn child deaths in PNG.